Professional appearance. Make a great first impression with a perfectly painted commercial building. You may not be conscious of it, but people sense the difference between a professional paint job and one done by amateurs. The preparation is meticulous, without bumps or ridges showing through. The colors are consistent, without previous colors showing through. Borders, such as at moldings, are sharp. Trim coats are glassy smooth and unblemished. Scholar Painting offers interior and exterior commercial painting service to clients of many sizes, from medical offices and apartment complexes to restaurants and corporate offices. Our crews are fully licensed and insured, and a warranty is included for each completed project. With over 20 years of experience, Scholar Painting uses only the best products to ensure an easy-to-maintain, highly durable finish on all types of substrates. In both public and private settings, we aim to minimize disruption, maximize coating performance, and maintain a safe working environment for all. We also work with you to ensure that the color is right! Scholar Painting understands that every business owner and building manager has needs that must be considered while planning and completing a painting project. As a painting contractor who has experience working with local businesses, we embrace each project with a commitment to understanding these needs. Our painters work in and around Greenwich, New Canaan, Darien, Riverside, Old Greenwich, Stamford, Weston, Westport, Cos Cob, Wilton, and the surrounding area. 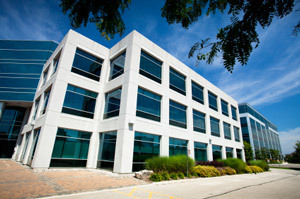 Schedule a Free Estimate for commercial painting today! 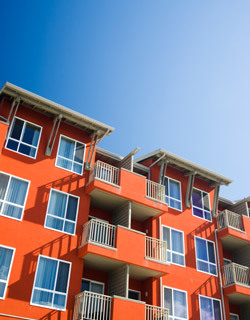 Let us give your commercial building new life with high-quality paint! When it comes to painting in Connecticut, we're the expert painting company for you! Our specialists take pride in our knowledge of the industry, our professionalism, and our unbeatable results! Our painting work never disappoints. It costs you nothing to meet with one of our experts for an on-site inspection of your business or home. We can provide you with an expert consultation, answer any questions you may have, and provide you with a free written interior painting quote! To schedule your appointment, contact us by phone or e-mail today! As an expert painter in Greenwich, we proudly provide interior and exterior commercial and residential painting by our own experienced crews throughout New Canaan, Greenwich, Darien, Norwalk, Easton, Ridgefield, New Haven, Redding, Woodbridge, Trumbull, and many surrounding areas.